VeganMoFo’ers, thank you for everything you do! It’s been an amazing first week of VeganMoFo 2017, and we’ve been dazzled by all your creative offerings and culinary delights. Choosing a few highlights for each day is a tough old job, but here are some that have stood out this week. The week one theme was Changing Vegan Perceptions, and I think you will have easily convinced the rest of the world that a vegan diet is in no way a boring one! Mike and Sarra livened up the dull old hummus and veg offering by making hummus-crusted tofu with an exciting range of veg (blueberry sweet peppers, anyone?) and sticking it all in a taco. Talk about an improvement! 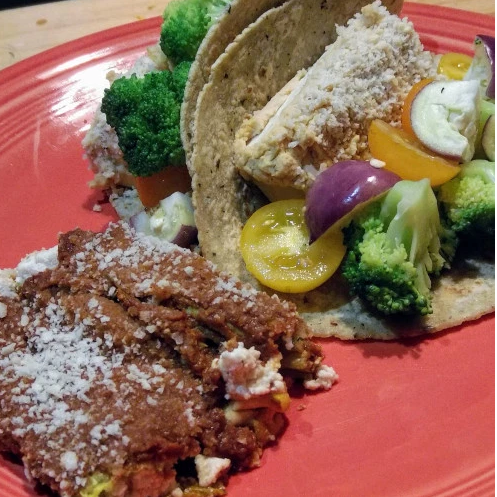 They’ve posted a taco dish every day this week, so have a look at their other fillings too on their blog or Instagram. 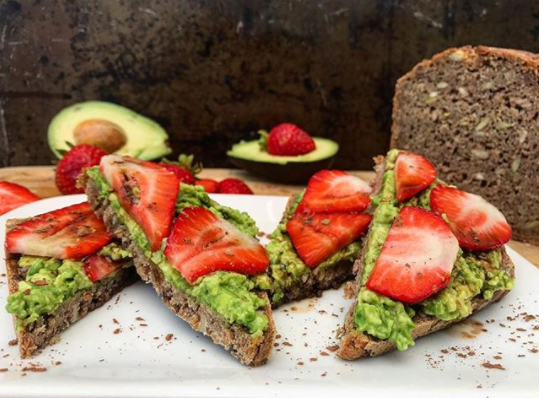 How do you make avo toast fresh and exciting? Strawberries, pomegranate balsamic and cocoa powder! We like Amber’s thinking! All of her dishes this week have been beautiful and are worth checking out. Of course, you don’t have to be following the weekly theme or daily prompts to be featured in our round ups! MoFo regular Jen is posting about hurricane recovery in the Florida Keys, and we were so happy to see her again! Week 1 has been full of honest and hopeful videos from her B&B, along with inspiring tales of human kindness and generosity. Feast your eyes on this! 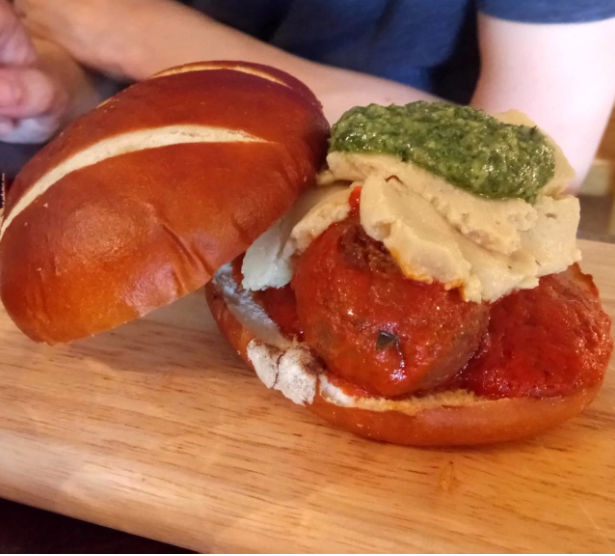 Clare has a mouthwatering review of this vegan junk food haven in South Devon that will have us all descending there for a holiday! Clare has also shared some of her own flavoursome recipes this week if you’re in the mood for some cooking. 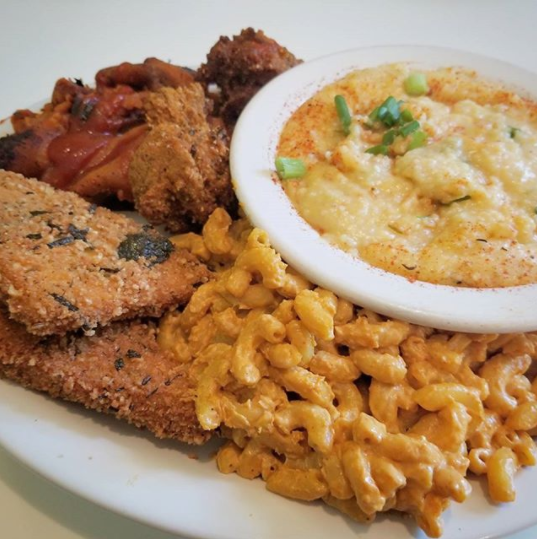 Kirsty also went out for junk food: where would you even start with this sample platter from Portland’s vegan BBQ joint Homegrown Smoker?! 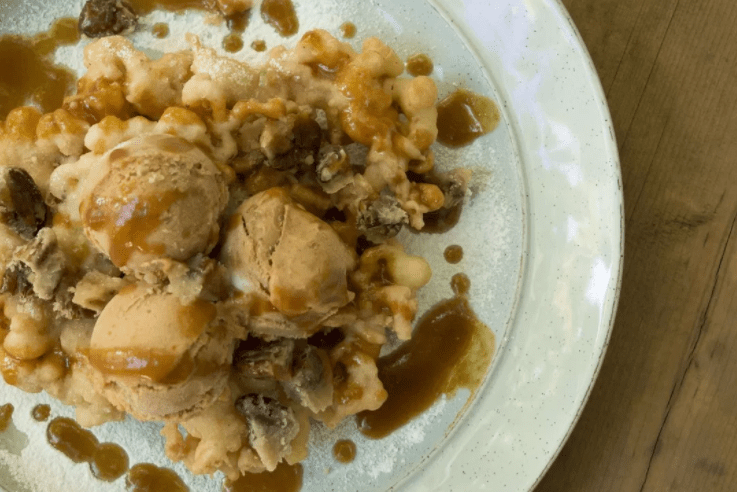 If you’re in need of a sugar fix, check out the recipe for this spectacular concoction: funnel cake topped with pumpkin pie ice cream, pecan pralines and caramel sauce. Truly a work of art! There’s a recipe every day on their blog, so do check it out for meal inspiration. 3rd: But where do you get your protein? 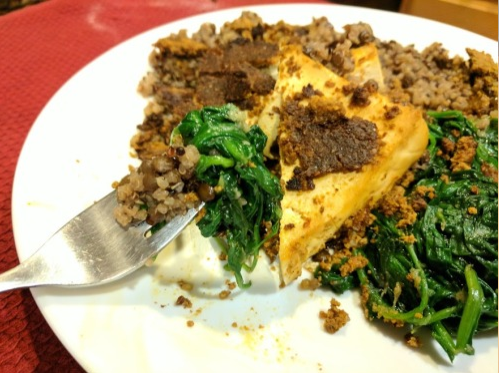 Emily (who happens to be VeganMoFo’s resident IT expert) went to the trouble of googling high-protein foods and then whipped them up into a veritable feast: baked tofu with a sun-dried tomato and pepita pesto, garlicky sauteed spinach, and a quinoa-lentil pilaf. Yum! We have a lot of respect for Tofumom’s no-nonsense protein response: plants, duh! 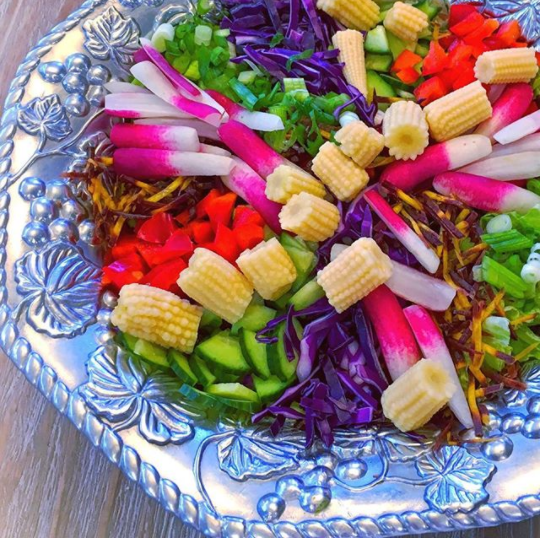 Check out this colourful array of protein-packed veg – just one of her vibrant pics from week one! And you can’t talk about protein without mentioning the humble chickpea! 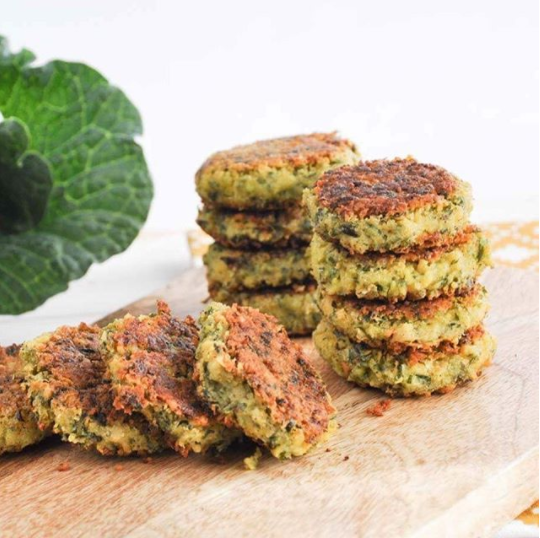 Bianca shared these collard green falafels, and you can find the recipe right here. 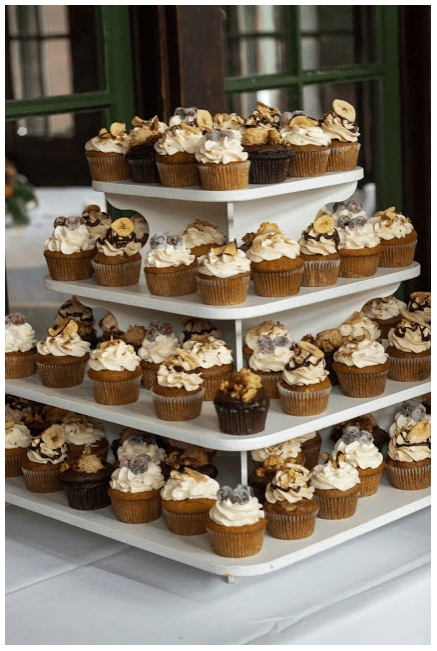 There were no catering disasters at this wedding – Michelle took a look back at her wedding, a week long celebration of vegan food (oh, and true love) culminating in this tower of five different kinds of cupcakes. Happy anniversary! 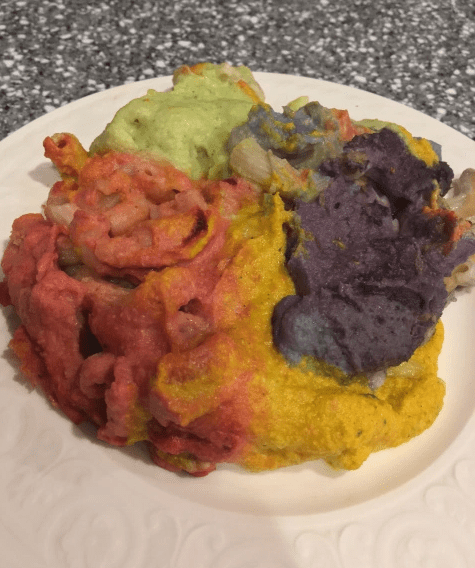 Emma’s worst catered meal was so unbelievably bad, you really do have to read it yourself to believe it. 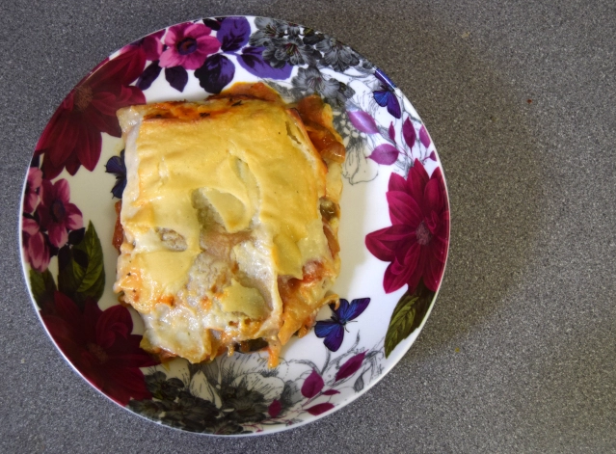 Let’s just say that this lasagne (made using actual lasagne pasta sheets!) was a huge improvement! She’s shared her recipe so you can make it yourself at home. Look at her other daily recipe posts while you’re over there! Kristen pointed out that we vegans quite often miss out on little nibbles like hors d’oeuvres, so she made a whole meal consisting of delicate little appetisers! 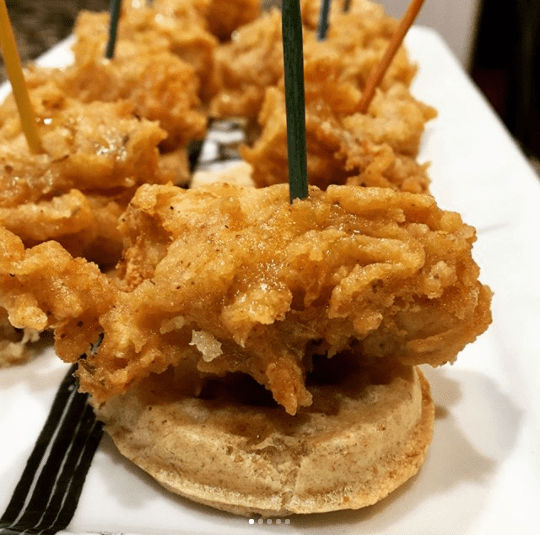 They all looked amazing, but these fried chick’n tofu and waffles a really something else. 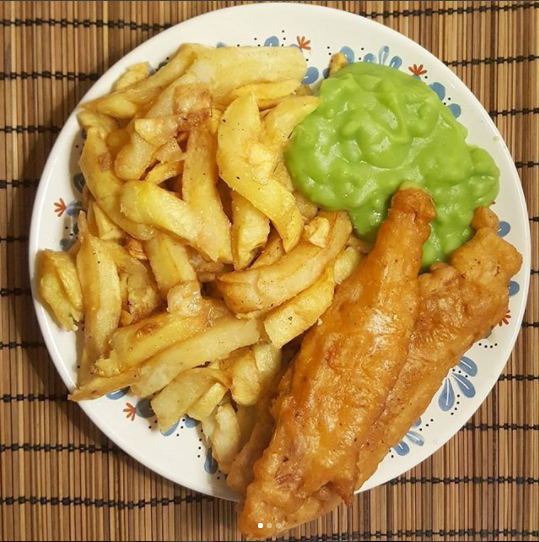 She’s posted some really beautiful dishes throughout the week. 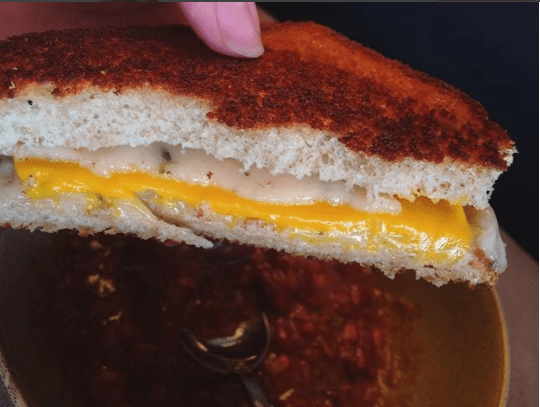 Everyone tells Danielle that she makes the best grilled cheese sandwiches in the world, vegan or otherwise. Judging by this picture, I’m inclined to believe them! First of all, yes, this would win anyone over. Second, did everyone else know that banana blossom is a good fish alternative?! You can find more details over on Natalie’s Instagram post. She’s been serving up delicious and hearty feasts all week, so don’t head over there on an empty stomach! Checking in on another personal theme, if you ever watched The Wire this one’s for you! Every morning vegan.raptor posts a photo of a vegan dish inspired by the name of a character with a little clue as to who it is. In the evening all is revealed! 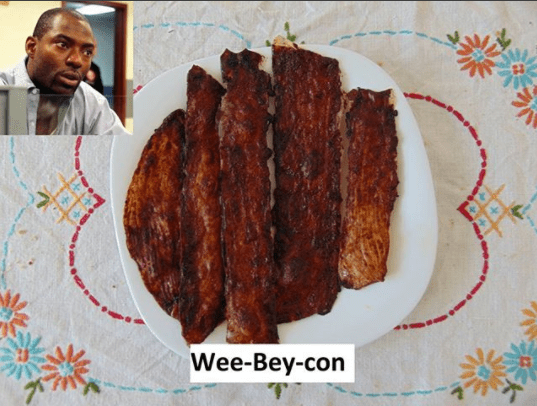 This isn’t just bacon, it’s Wee-bey-con! Play along and see if you can guess any of them! 6th: Vegan Cheese is “real” cheese! Laura’s theme is ‘magical unicorn rainbow party’, and this mac’n’cheese seems to fit perfectly! Natural colourings abound, including something called butterfly pea tea powder. 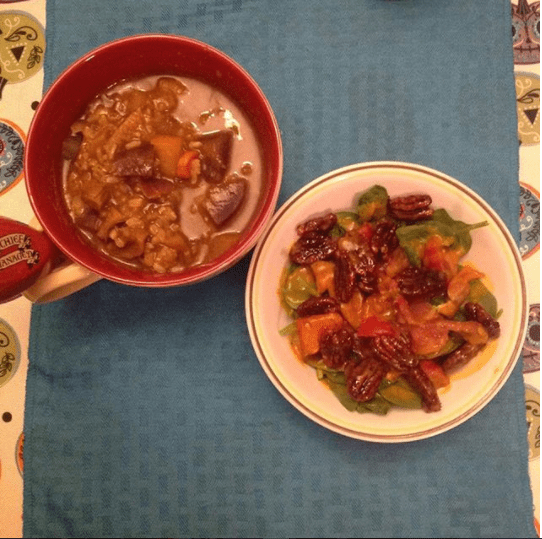 You can find the recipe on her blog and check out her other great and thought-provoking posts this week. 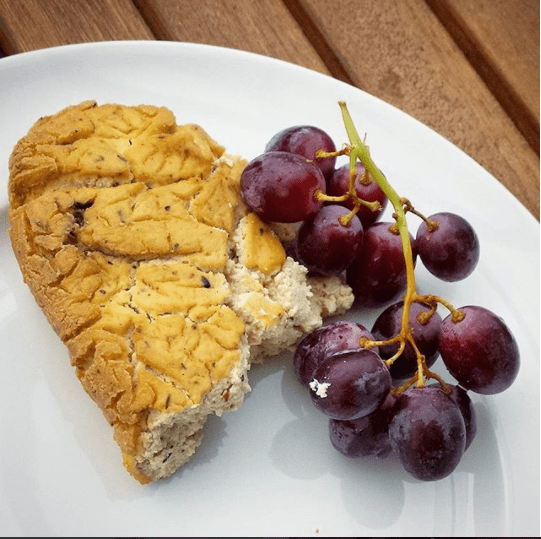 Check out this elegant looking homemade tofu chevre from Mrs S! This would look at home on any cheese board. 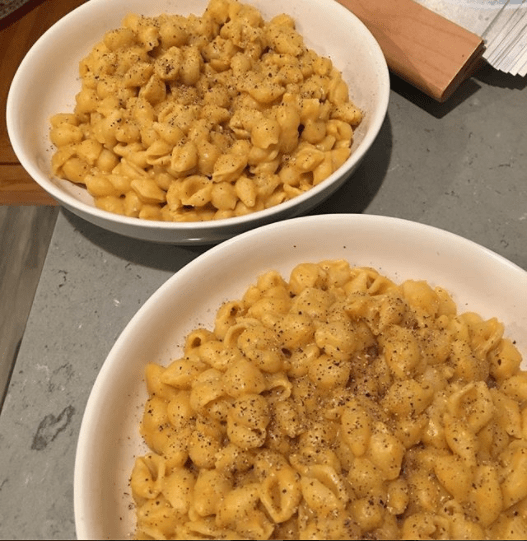 First time MoFo’er Raquella shared this tempting mac and cheese. This was a popular dish for this prompt, but hers was the only one we spotted that was made with split peas! 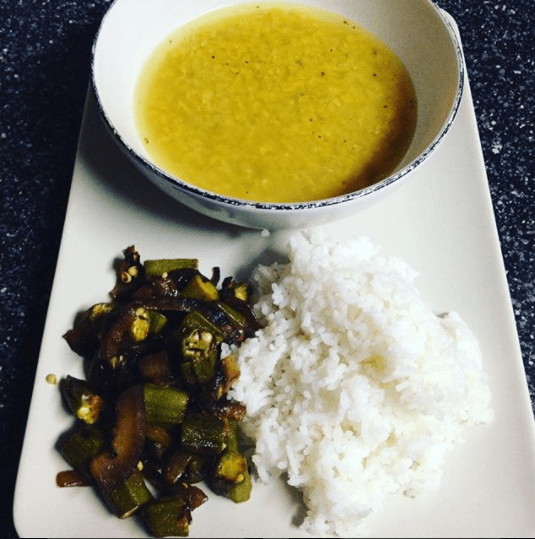 Angie made the smart choice of going for Indian cuisine today with red lentil soup and curried okra. Let those vegetables and lentils shine! Julie turned to our vegan goddess Isa for this original vegan dish: the goddess noodles from Isa Does It. 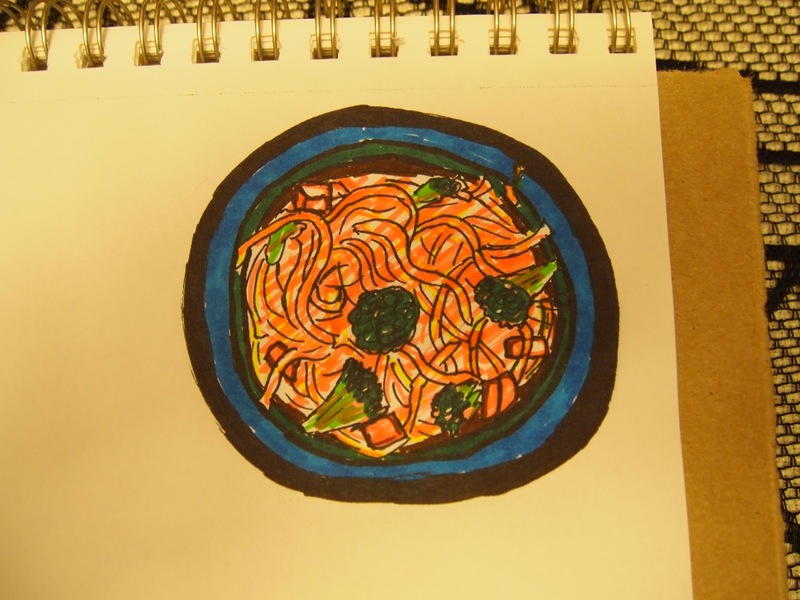 In every blog post Julie included a drawing of her dish for Inktober, so make sure you stop by to admire her artistic skills! Look at this magnificent plate of food from Tania (or, to give credit where it’s due, her husband)! As she points out, respecting your vegetables is all it takes to create a wonderful dish. 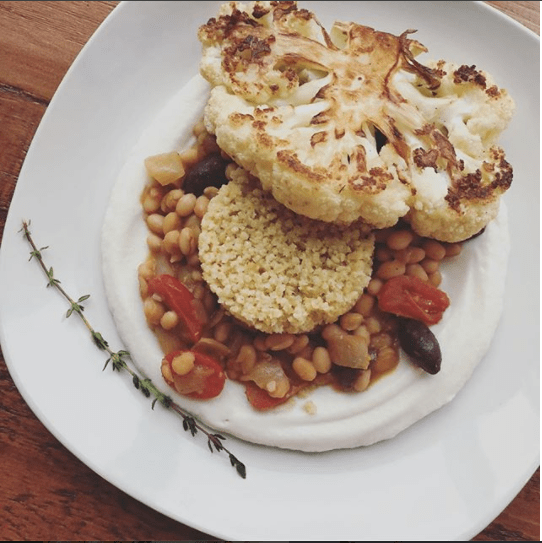 This seared cauliflower is served with steamed millet and braised thyme-scented white beans, finished with a lemon-tahini cauliflower puree. 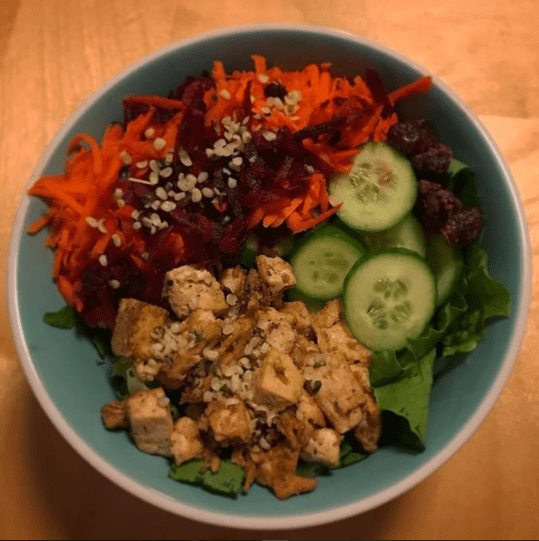 MoFor regular Susan treated us to a fabulous review of Terry Hope Romero’s Salad Samurai. 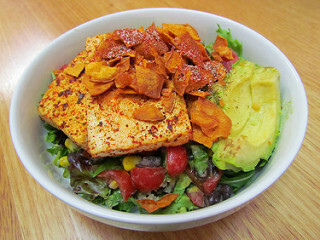 Salads like this avocado tofu breakfast one are will win you friends any day of the week! Andrea recognises the importance of adding well-seasoned tofu to any salad. Doesn’t it just elevate every dish? Occasionally we might be persuaded to skip the tofu and instead get these black pepper candied maple bacon pecans! Don’t they sound amazing?! Oh, and they’re served with baby spinach, homegrown black krim tomatoes, and smoky pumpkin vinaigrette. So that’s it for week one! Week two starts today and we’re curious about what’s going on in your kitchen: it’s Behind the Scenes week! We’ll have another round up for you next Monday, but keep an eye on the blog for a daily cookbook giveaway Monday-Friday this week. And keep serving up that delicious food! Thanks for sharing our funnel cake! It was definitely a lot of fun making it (and eating it afterwards for that matter). MoFo has been a lot of fun. Lots of great food to come.